Gary Neville would not be surprised if Maurizio Sarri was sacked after Chelsea's 6-0 thrashing at Manchester City, but thinks that would be "madness". 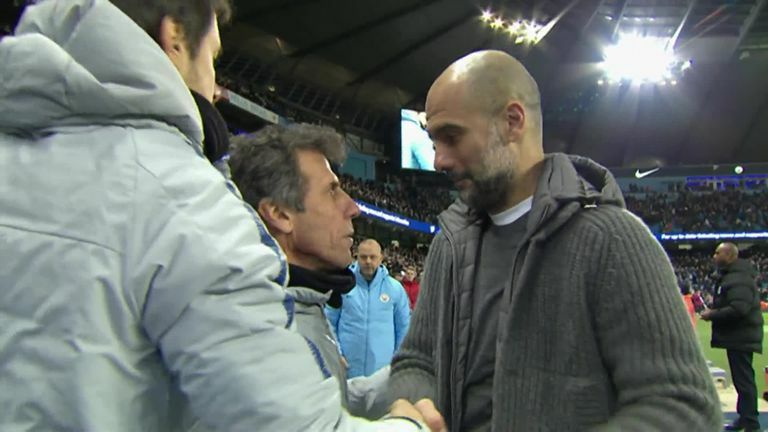 Chelsea were blown away at the Etihad Stadium as they suffered their heaviest defeat in any competition since 1991. Sarri, who was appointed last summer, said he is worried about his team and their performance, rather than his job. However, former Manchester United and England defender Neville said on Sky Sports: "It's the type of club where you wouldn't be surprised if you wake up tomorrow to the news that Chelsea have changed their manager. "It's not something we want, six months into the job it would be madness in some ways, but there's where we are at with football. "If the ownership at the club really want to see a better level of football they need to live through the pain. Now is not the time to go weak on that. In the next 24-48 hours we will see whether Chelsea have the belief that they want to follow through with it. "In the past they have changed. Are they going to stick with Sarri? How intent are they on changing the style of football? "If you said at the start of the season that Chelsea would be challenging for the top four, would be in the FA Cup, still in Europe and in the Carabao Cup final, you wouldn't think for one second that the manager would be losing his job. "But it's the noises that have been coming out from Chelsea in the last six or seven weeks and the interviews that Sarri has done. You can multiply that by 10 because we only hear a small part of it, so you can imagine on the inside it isn't great. "That would be a big concern, and Chelsea don't hang around." 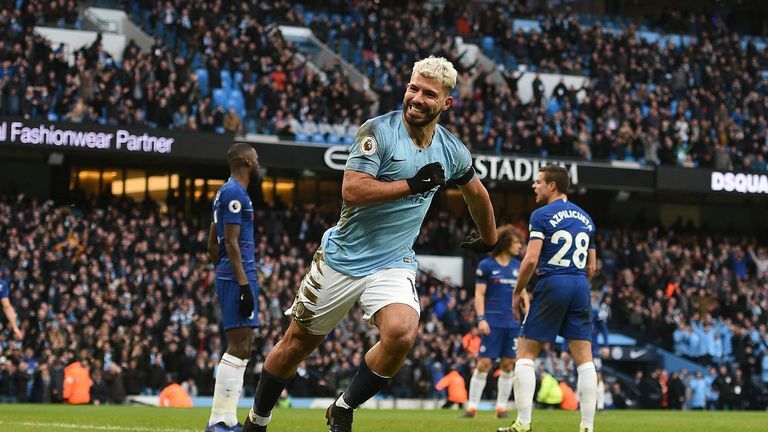 Chelsea slipped down to sixth in the Premier League after the defeat, but turn their attentions to cup competitions as they play Malmo in the last 32 of the Europa League, Manchester United in the fifth round of the FA Cup and City in the Carabao Cup final. Neville thinks Chelsea could face a more difficult decision regarding Sarri's future depending how results go over the next few weeks. "There's a predicament because if Chelsea were to beat Manchester United or beat Malmo or beat City then it would be very difficult [to sack Sarri]," Neville said. "These Chelsea players are capable of doing that and performing, but it looks like a sorry situation." 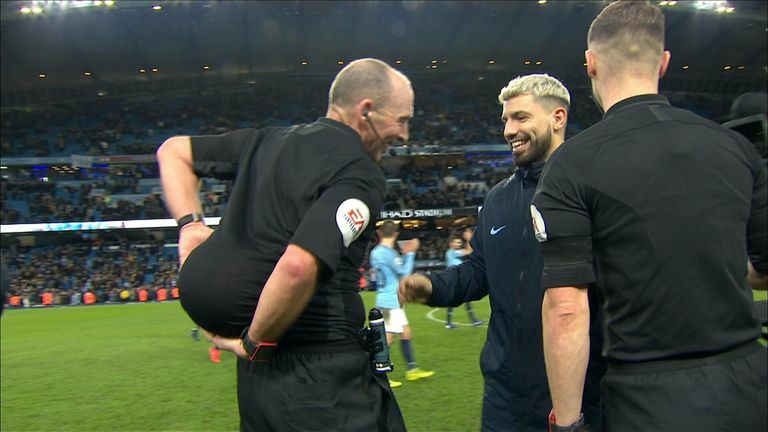 Jamie Redknapp was critical of Sarri during the loss to City for repeating the same actions every game, such as bringing Ross Barkley on for Mateo Kovacic. However, Neville does not think Sarri will change his principles, just as Pep Guardiola did not when he came under pressure during his first season with City. Neville said: "Managers work on a set of principles in the week. Gone are the days when we see managers adapting and playing different styles every week. We see a style of a team and players are programmed to play that way. "Once you have made that bed it's actually quite dangerous to change it because players then see a weakness in the manager's philosophy and see that he is jumping around. "You need to win trophies or create some real control in a club to be able to change your message. 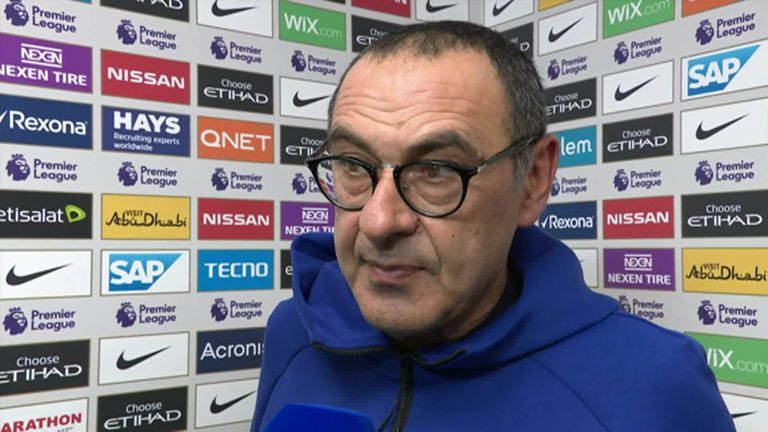 "Sarri has made his bed, you have to give him credit as he believes in what he is doing. Remember Pep Guardiola in his first season at Manchester City? It was a struggle and he didn't achieve what he wanted to achieve, but he didn't change his principles. He just did it a lot better and worked with his players."